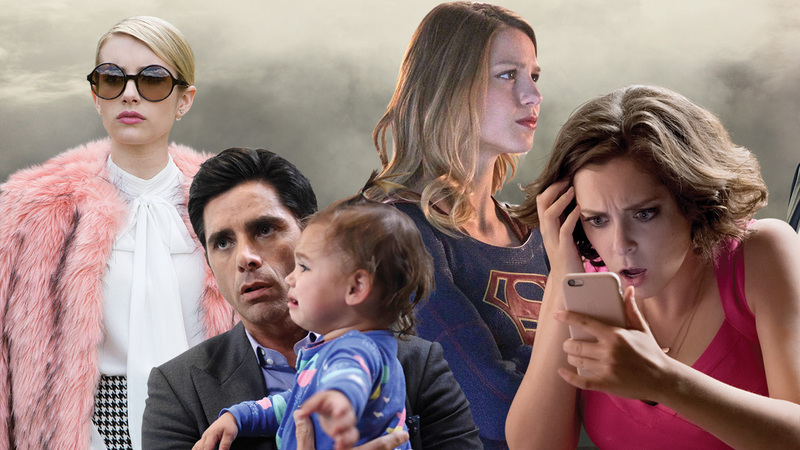 Even with all the seismic changes in the television business over the past several years, some things remain constant: For the broadcast networks, everything still revolves around the fall season, which officially kicks off Sept. 21. Over the next two months, the nets will roll out 22 new shows, plus 58 returning series. During this summer's Television Critics Association gathering in Los Angeles, Adweek sat down with each of the network chiefs (including CBS Entertainment chairman Nina Tassler, who last week announced that she will step down at the end of the year) to learn about their battle plans for the new season. Adweek: What's your boldest move this fall? Robert Greenblatt, chairman, NBC entertainment: I think it's Blindspot at 10 on Monday. That's a great time slot, and we're boldly putting our best new show there. Nina Tassler, chairman, CBS Entertainment: It's actually two moves. One is our Monday night schedule. I think Supergirl on Monday is a smart move, but a big move. And late night. The whole ramp-up to the premiere of [The Late Show with Stephen] Colbert was smart and strategic because it benefits [The Late Late Show with James] Corden as well. Paul Lee, president, ABC Entertainment: Some say we're taking a risk with Priyanka [Chopra, the Bollywood star and lead of Quantico]. I don't think Priyanka is a risk because she's a star. But some say to us, "Why do you have somebody fronting one of your major plays of the fall that Americans don't know?" The moment you talk to Priyanka, you can see why. Dana Walden, co-chairman and co-CEO, Fox Television Group: Definitely our all-new Tuesday night [with Grandfathered, The Grinder and Scream Queens]. We obviously loved those two comedies and felt like with Rob Lowe [on The Grinder] and John Stamos [on Grandfathered], we had the talent to launch a big event night. Mark Pedowitz, president, The CW: Putting Crazy Ex-Girlfriend on with Jane [the Virgin], and being able to say that the CW's schedule is stable. Greenblatt, NBC: Any hit show we come up with! I think advertisers will love Blindspot, [Best Time Ever With] Neil Patrick Harris and The Voice. Tassler, CBS: The messaging of our shows. There's a real hopefulness and a real wish fulfillment, thematically, that runs through most of our shows, which is that you leave the shows feeling good. Lee, ABC: The fact that ABC continues not just to deliver its brand of smart, sophisticated storytelling, but to extend it further. Gary Newman, co-chairman and co-CEO, Fox Television Group: Our all-new Tuesday night. Pedowitz, CW: Where we are going, which is broader appeal, adult appeal and bringing more men in. I think we're in a good place. 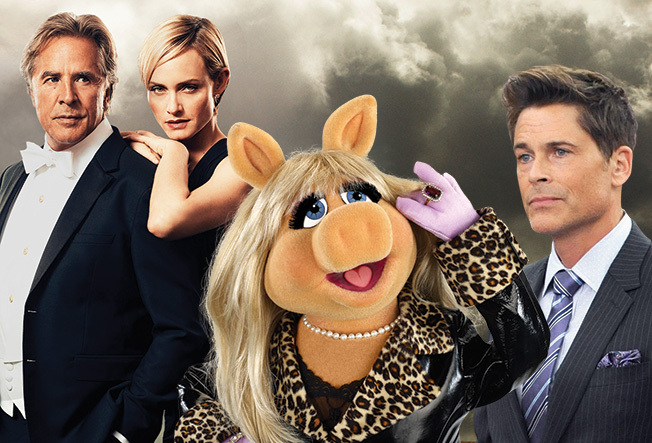 The networks hope stars like Miss Piggy and Rob Lowe will attract audiences this fall. What's your most improved time slot? Greenblatt, NBC: I think it could be Monday at 10 [with Blindspot], but it could also be Thursday at 8 with Heroes coming back [as Heroes Reborn] in a very difficult, competitive time period. Tassler, CBS: We think Tuesday night [at 10] will be great with Limitless, and having Supergirl on Monday night [at 8] will be great. Every move that we make is obviously to improve the time period. Lee, ABC: There are a couple that I feel very optimistic about, but the moment I say it, it will jinx the time slot. Walden, Fox: Clearly, it's Empire, in our Wednesday 9 p.m. time period. Pedowitz, CW: I believe Thursday at 9, with The Originals moving into that time period. What's your biggest challenge this season? Greenblatt, NBC: Just getting credit for how many people are watching our shows. Getting credit—and paid for! Tassler, CBS: I don't know if it's the biggest challenge, but it's a consistent challenge, which is competing for eyeballs, competing for attention. There's a lot of great content out there. We are the biggest brand out there, but we respect the audience and we're aggressively competing for their time and attention. Lee, ABC: The thing about broadcast is, you have to build an asset or two every year. The last five years, you can watch us doing it—brick by brick, night by night. Now it's Sunday, and we have two fantastic new big soaps in Blood and Oil and Quantico. We think that's going to be a great night of television. Newman, Fox: Launching five new series across three days. There's so much competition. We live in a world now with delayed viewing where people have VOD and they watch shows on Hulu and other platforms. So there's lots of possibilities for multiple shows to work in the same hour. But with all the messaging that all the networks and others are doing during this period, to create the awareness and get someone to prioritize—"I'm going to watch this show"—it's hard. Pedowitz, CW: Sustaining the growth and showing that it was not a fluke over the last couple of years, and that the strategy that we implemented is the strategy that is still working. It's all about the quality of the shows. This story first appeared in the Sept. 21 issue of Adweek magazine. Click here to subscribe.